For experienced fly fishers visiting the area, we offer fully guided full and half day trips to fish for wild brown trout. For beginners, we can give you an introductory experience combining some formal instruction with a brown trout fishing excursion. If you are staying nearby, we can collect you from your accommodation, or meet at a convenient point, and take you out for an exciting day of guided trout fishing. 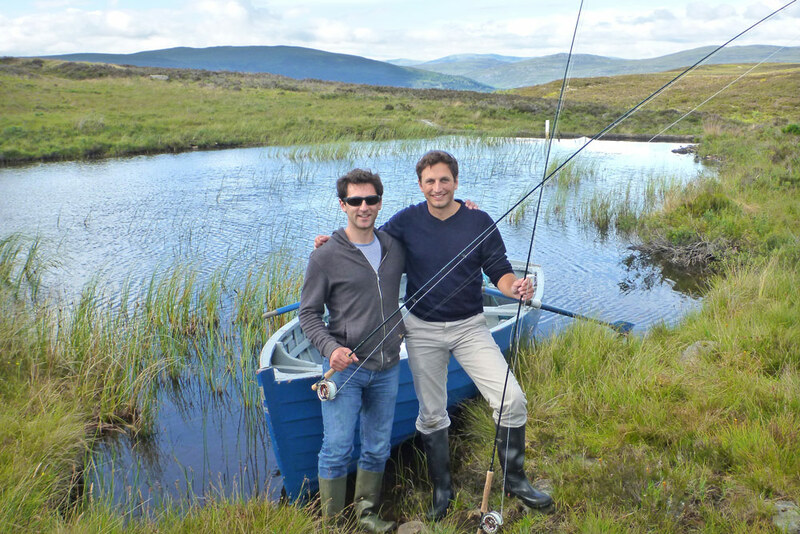 If you are visiting Invergordon as part of a cruise, and looking for some fly fishing action during your tour, we can collect you from your cruise ship, take you fishing for the day, and then return you in plenty of time for your evening sailing. 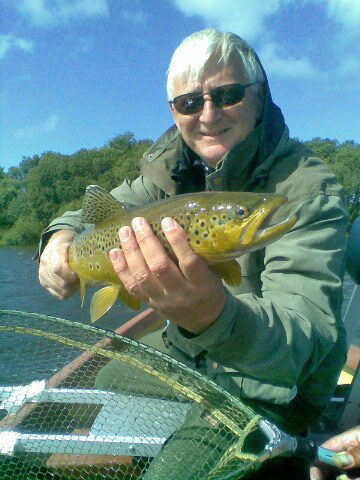 All of our local waters in Easter Ross are detailed in the Trout Fishing section and are easily fished in a day excursion. We also have exclusive access to some other lochs for guiding, which we are unable to offer to unguided guests. 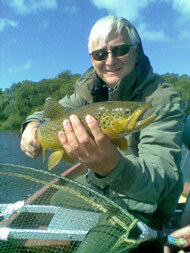 We have our own boats on a number of trout lochs locally. These all lie within the area marked in pink on the map below. In addition for day excursions we commonly also use other lochs that we have access to throughout Strathconon, Strathglass and South-East Sutherland. For all of our guided fishing trips and excursions we can provide all the necessary fishing tackle that you will need, so you can 'travel light'.